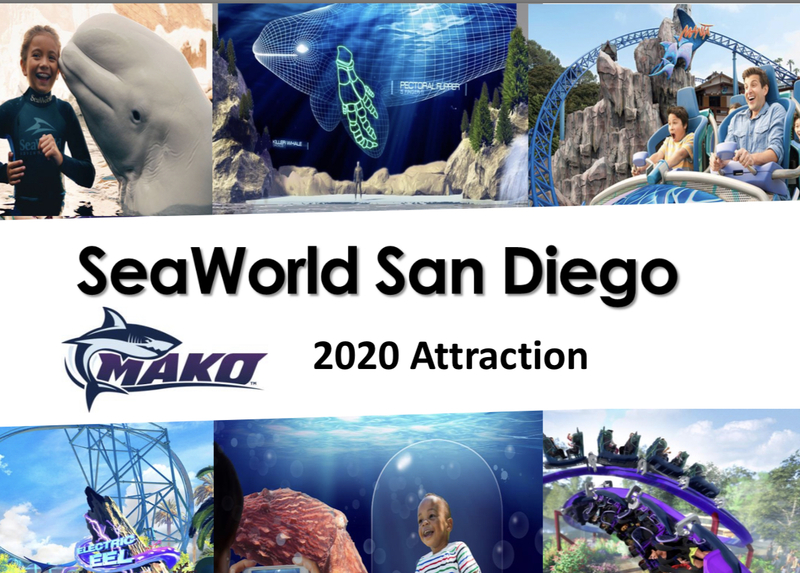 Earlier this month, SeaWorld San Diego blew us away with their announcement during a Community Meeting that included a new dive coaster for 2020, Mako. 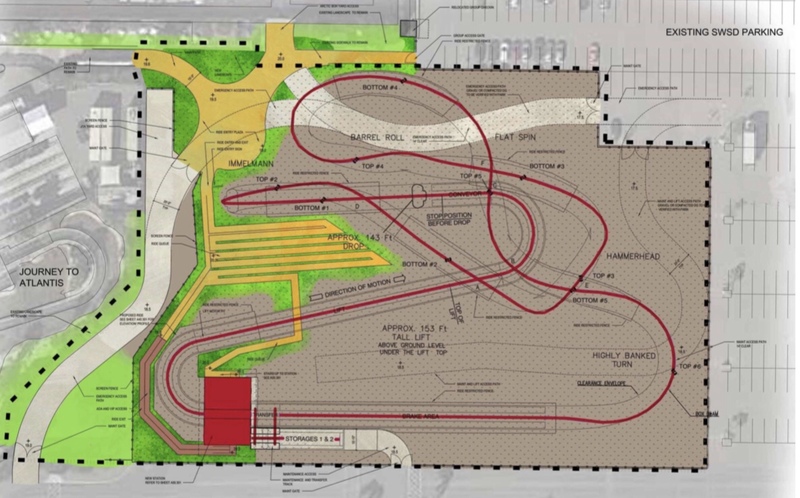 Plans posted to the official SanDiego.Gov website go into a little more detail about the proposed coaster, including some of the design elements and locations of the coaster. 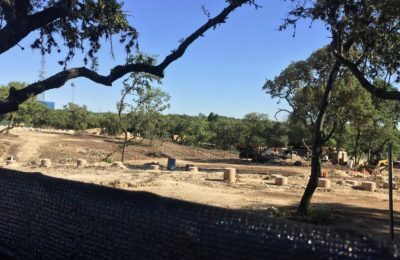 As far as any new details on the surrounding land, and area, the report really doesn’t give much of a clue about what’s coming. It is honestly just a report to show the impact of noise and visual impact of the surrounding area. 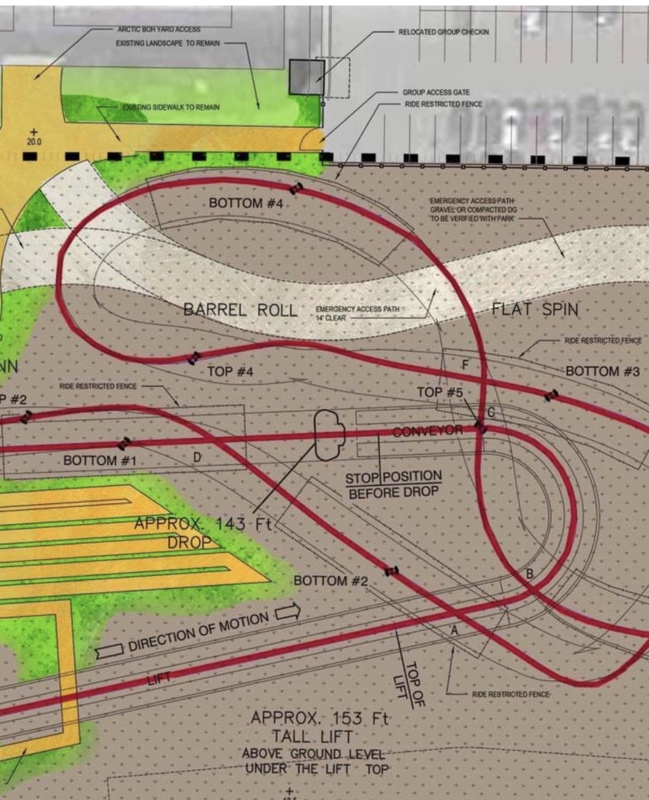 It also gives a small glimpse on some of the educational aspects that will help make the coaster fall into SeaWorld standards. There really isn’t much new here, and it’s all kind of standard stuff. It’s not until you get to the plans, that things start getting a little interesting. 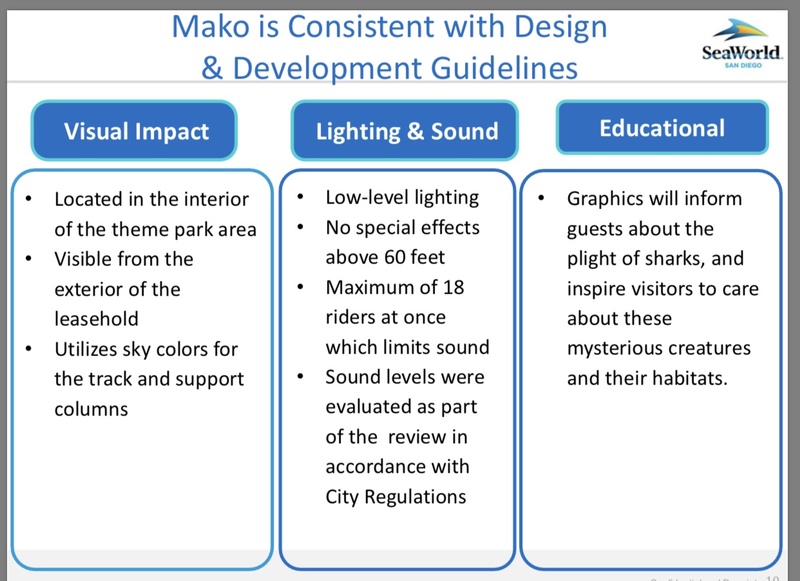 Page 9 of the plans shows the proposed layout of Mako. 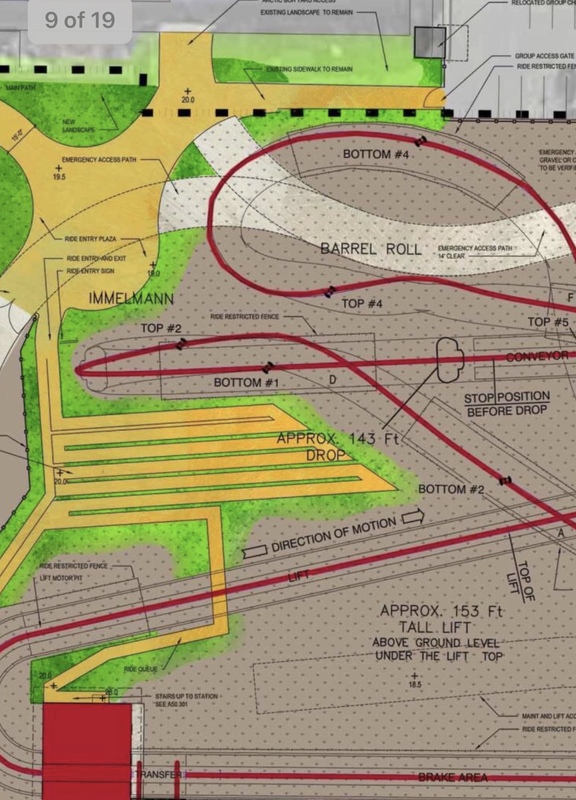 The layout shows a very tight footprint on the site of the old waste disposal area, right behind Journey to Atlantis. You have the proposed height of 153 feet tall, the drop of 143 feet and then what looks like several different design elements. Let’s break down the plans a little and take a look at each element. So right after the drop we have the standard B&M Dive Coaster Immelman, where you go right out of the drop and up into the coasters first inversion. Then here’s where things get really fun. You go from the Immelman, and we take a tight turn and run into a Hammerhead, which is a turn that is banked at about 180 degrees. Pretty sure this is a move that is on the Orlando Mako as well, as it’s an amazing, tight turn that gives you a very thrilling ride. Right after that Mako throws you into a “flat spin” or corkscrew inversion. Then you go into turn and a barrel roll inversion. 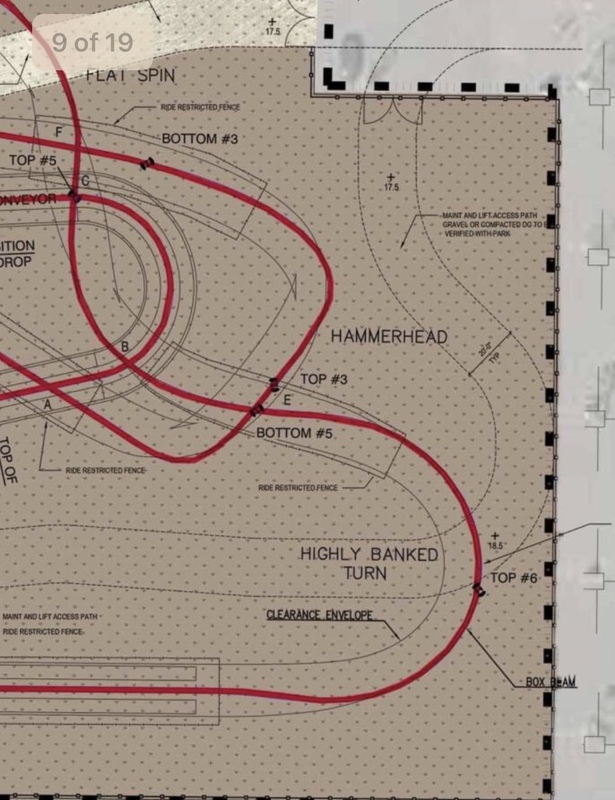 From there it’s a highly banked turn, and a brake run. If our calculations are correct, that gives Mako three inversions where you’re flipppng upside down, which is more than the other dive coasters in the SeaWorld Parks line up, Sheikra and Griffon. Given the tight footprint and the quick placement of the maneuvers, Mako is shaping up to be a very intense coaster for the SeaWorld San Diego line up. Now keep in mind that these are just proposed plans, they could be changed. They could also be denied, it all depends on what happens with City and California Coastal Commission approval. These are also not “secret plans” that we’re leaking, as they are on the official city website and are therefore public record. 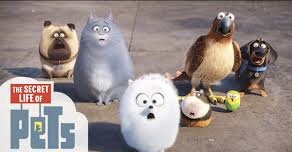 We just went looking for them. 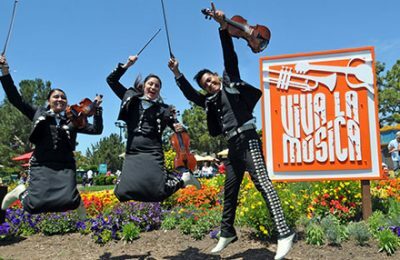 Overall, SeaWorld San Diego is going to pack a punch for families and thrill seekers alike, and it should be fun to watch in the next few years.